Colorful, easy-to-read road maps of the U.S., Canada, Mexico, and Puerto Rico with 3-D elevation shading. First edition of a standard atlas with text in Spanish. 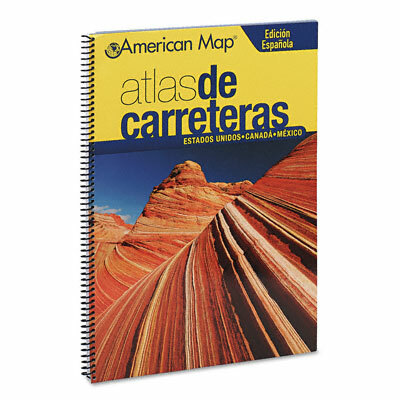 Features colorful, easy-to-read road maps of the U.S., Canada, Mexico, and Puerto Rico with 3-D elevation shading.